Three countries. Three cultures. Three unforgettable adventures. This ultimate tour lets you experience all the sights, sounds and tastes of Portugal, Spain and Morocco. You will begin in Madrid, Spain, and travel across the border to Portugal. You will see the exciting capital city Lisbon, as well as charming small villages. 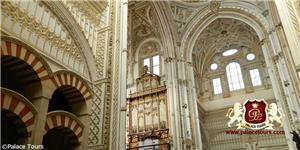 Then you will return to Spain and see the fascinating historical cities of Cordoba and Seville. After you spend free time relaxing on the beaches of Costa del Sol, you will take the ferry across the Mediterranean. In Morocco, you will discover the fascinating histories of Casablanca and Fez. Then you will return for a few more days in the Costa del Sol, ending with another excursion to the cities of Granada and Toledo. Departure from bus terminal, located in the underground parking of the Plaza de Oriente at 08:30 a.m. Drive to Avila, a city that preserves its medieval wall. Short stop to know its walled and old town. Then to Salamanca. Free time in this University City Heritage of Humanity of great architectural and artistic wealth. Departure to the Portuguese border until you reach Porto. Accommodation and overnight in Porto. Breakfast. Panoramic sightseeing tour of Porto, considered World Heritage city. We admire the Cathedral, Stock Exchange building and Santa Clara church. In the afternoon, possibility of an optional visit to a famous winery with tasting of its world-famous “port wine”. Breakfast. Departure to Coimbra. City seat of one of the oldest universities in Europe and the birthplace of Fado. Free time. Then to Fatima. Center of the Christian Faith and World Pilgrimage Sanctuary with its impressive Basilica and the Cova da Iria place where the Virgin Mary appeared. The Chapel of the Apparitions, heart of the sanctuary, with the tombs of the three shepherds, Lucia, Francisco and Jacinta. At night possibility to attend the procession of the candles. Accommodation and overnight in Fatima. Breakfast at the hotel. Departure to the Batalha Monastery, a masterpiece of Gothic and Manueline style considered a World Heritage place by UNESCO. Continue to the picturesque fishing town of Nazaré. Free time and continue to Alcobaça (World Heritage) visit the XII C. church and admire the tombs of Pedro and Inés de Castro and then to Lisbon. Accommodation. Optional night tour to attend a show of Fado, typical Portuguese song and music. Breakfast at the hotel. Morning sightseeing tour of the ancient Olissipo, drive through its main squares and avenues, Belem Tower, Jeronimos Monastery, Coach Museum, Monument to the Discoverers, Marquis of Pombal Square, Liberty Avenue. Afternoon at leisure for you to catch the nostalgic corners of Alfama Quarter, the old city gathered next to its Castle, with old buildings nested in narrow twisting “Ruas” full of colour housing the genuine “tabernas” where Fado sounds as a missing past. Accommodation at the hotel. Breakfast at the hotel. Departure at 07:30 hrs to Caceres considered as World Heritage place because of the city’s blend of Roman, Islamic, Northern Gothic and Italian Renaissance architecture. Walk through its Plaza Mayor and the Old Town with its famous Medieval Quarter. 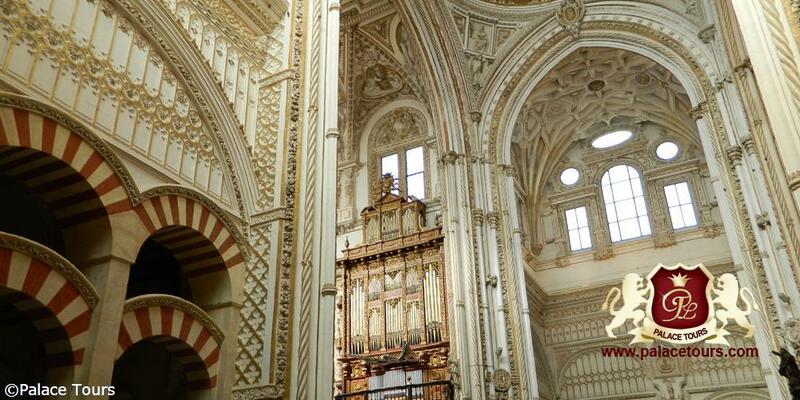 Afterwards, continue on towards Cordoba, once the capital of the Caliphate. Dinner and accommodation at the hotel. Breakfast at the hotel. Impressive tour of its Mosque and other sites that will ease our mind and spirit strolling through its narrow winding streets of the Jewish Quarter. In the afternoon, after a short two hours ride reach Seville. Dinner and accommodation at the hotel. After breakfast at the hotel drive south passing typical villages. Reach Ronda; free time to admire this town of Roman origin and the marvelous view of the valley and mountain range. In the afternoon continue on to the Costa del Sol, one of the most modern and important international tourist areas. Dinner and accommodation at the hotel. Overnight in Costa del Sol. Breakfast, dinner and accommodation at the hotel. Day at leisure for you to enjoy the wonderful beaches of the Costa del Sol and surrounding areas. Optional tours. After breakfast at the hotel drive along the picturesque tourist route of Costa del Sol, arrive to Tarifa where a ferry boat will be used for a short and interesting crossing of the strait of Gibraltar towards Africa. Arrival to Tangier, disembark, clear customs and drive southwards via Larache to Rabat, diplomatic and administrative capital, official residence of the King Mohamed VI. City tour visiting the important sights as the Royal Palace from outside, Mohamed V Mausoleum, the unfinished Hassan Tower which are important examples of the Almohade architecture. Afterwards, departure to Casablanca, current industrial and economic capital and the most populated city housing a 10% of the country population. Time at leisure. Dinner and accommodation at the hotel. Breakfast at the hotel. Panoramic city tour through the most interesting sections of the city, Anfa boulevard, Nations square, residential areas and visit from the outside of the Hassan II grand mosque. Departure towards Marrakech. Marrakech capital of the South, which is located within an extensive oasis between the Atlas Mountains and the pre-desertic area. City sightseeing, including the Koutoubia Tower, twin tower of the Giralda in Seville, Saadines Tombs and Bay Palace, walk around the medina, souks and the magic Jma El Fna Square, which is packed with fortune tellers, snake tamers, acrobats, dancers, all making the centre of the city an open air theatre that requires the participance of the audience. Don’t forget your camera. Dinner and accommodation at hotel. Optional dinner and show at Chez Ali Fantasia. Accommodation at the hotel. After breakfast northeast departure to Meknes, old walled (40 Kms.) imperial city located in the heart of the Mid Atlas. Panoramic tour; admire the great Bab Al Mansour Gate, Morocco’s most beautiful Gate and the most well known monument in town. Afterwards departure to Fez, the most monumental one of the Imperial Cities, its University of “Karaouyne” is the largest Islamic sanctuary in Morocco, ancient theological schools, etc. Dinner and accommodation at the hotel. Breakfast at the hotel. Enjoy a morning city tour of the most ancient and monumental of the Imperial Cities visiting the most interesting points: the 7 gates of the Royal Palace, Jewish Quarters or Mellah, gate of Bab Bou Jelous and walking tour of the “Medina” (Old City), declared World Heritage Site. Afternoon free. Dinner and accommodation at hotel. Optional dinner with show. After breakfast at the hotel departure towards the city of Granada and its incredible and amazing monumental environment, last stronghold of the Moorish Kingdoms up to 1492. Visit the world famous Alhambra complex and Generalife Gardens that have inspired several authors with its sound and sights, such as the “Tales of the Alhambra” by W. Irving. Afternoon at leisure. Dinner and accommodation at the hotel. Optional Gipsy Flamenco show at Sacromonte Square. Breakfast at the hotel. Drive northward where it emerges, toward the sky of Castilla and surrounded by the Tagus river, the impressive Imperial city of Toledo –World Heritage City- where the three cultures Christians, Moorish and Jewish, have lived together. Resume of the Spanish art, history and spirituality the whole town is a National Monument. Short guided tour of this historical old town throught its narrow streets. Then proceed with a visit to a famous “Damasquinado” (gold and silver inlaying in iron) factory. Continue to Madrid where your tour ends. We can assist you with your transfer to the airport or add some more nights to your hotel and enjoy Madrid or maybe join another tour that will let you enjoy Spain a little bit longer. Daily breakfast and 4 dinners. What are the passport/visa requirements for travel to Spain? Please ensure that your passport has at least three blank pages and that it is valid for at least six months beyond your departure date from Spain. Please check with your local embassy regarding visa requirements. What type of clothing is recommended based on the local weather conditions? As most of the tours are during the spring, when the weather is warm, leisure style clothing is recommended. Please bring along a jacket or coat for chilly evenings and windy days, and sun protection for warm afternoons. Comfortable walking shoes are a must. What kind of cuisine is served? Meals are buffet-style with a good variety of fresh local fare, and there are always vegetarian options available. If you have any special requests, we will try our best to accommodate them; please advise Palace Tours upon booking, and also advise your guide upon arrival. Is the tour accessible to wheelchairs / physically challenged? Please know that not all hotels/sights are wheelchair accessible; please check with us at the time of booking. Wheelchairs for sightseeing excursions can be made available upon request; kindly advise our office as soon as possible. What is the maximum group size on the tour? Excursions utilize a deluxe air-conditioned coach, which can seat a maximum of 40 passengers, however the average number of passengers on any given tour is 25-30. What happens during the “panoramic tour”? For the panoramic city tours, clients remain seated on the coach and are driven around the popular city sights.